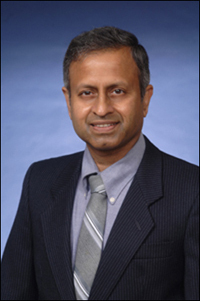 ISR Strategic Advisory Council member Dr. Vijay Srinivasan has been elected a Fellow of the American Association for the Advancement of Science (AAAS). Srinivasan is chief of the Systems Integration Division at the National Institute of Standards and Technology. Srinivasan was elected for “distinguished contributions to scientific theory, algorithms, and standards for computer-aided design and manufacturing." Prior to his position with NIST, Srinivasan worked at IBM, where he was the chief standards and solutions officer for product lifecycle management (PLM); and program manager for PLM Research, Standards, and Academic Programs. He set the IBM standards vision and strategy for PLM work and was responsible for implementing these standards in IBM’s PLM products.